Playing bughunter, i found another register error? HLE: W No pause.bin found, Auto Pause will not work. and recompiler triggers that error only when i pause emulation. Game just stops processing after loading demo_attract.bik and opening audio port. I cannot see any pictures, only black screen. Im jelaous. Maybe somebody need to try this demo with dx12. 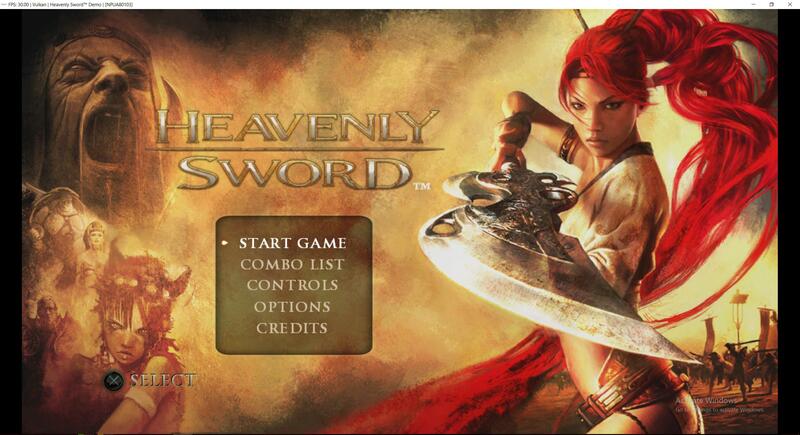 It has same issue, like original disc version - after &quot;Heavenly Sword&quot; screen it says, that SIXAXIS controller not connected. Edit: corrected thread title, and moved to Intro subforum. Now games display at ogl and write to buffer enabled, but cant pass errors. Post log just for debugging reasons. LLE: Automatically load required libraries. Menu and opening scene of the demo worked fine but then freezes while loading gameplay.